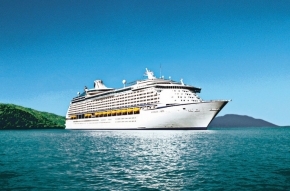 Royal Caribbean: Voyager of the Seas Promotion! The offer is valid for stays at the qualifying rate from 1 September 2018 to 15 December 2018. Please quote the “GCSLKL0717” when making reservation via phone or email. All prices are subject to a 10% service charge and 6% government tax. The offer is eligible to earn GC Award Points. Prior reservation is required and the offer is subject to availability at the time of reservation. Terms and conditions of the Golden Circle Programme apply. Check out Shangri-La Hotel, Kuala Lumpur for more details about this offer and to book your accommodation now!